– March 30, 2015Posted in: SusieQ FitLife Breaking News, SusieQ FitLife Updates! 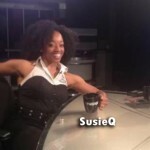 SusieQ FitLife shows you how to make a run for it preparing for a 5K run on the HealthiGeneration site! Blogger, Amanda A. Dixon of the HealthiGeneration website is preparing for her first Marathon and speaks with SusieQ about how to prepare for her big day. Read more and see the web link below! If you want to do a 5K, but can’t image yourself running for more than 10 minutes, have no fear. Go ahead and sign up for a race. As long as you pace yourself, a 5K (3.1 miles) can be run by just about anyone. Training could take anywhere from seven weeks to six months, so choose a race date that will give you enough time to prepare. ***Amanda Dixon is a freelance writer who has also written for Mashable, Chalkbeat and Essence magazine. 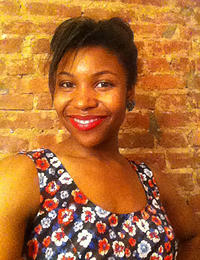 Born and raised in Atlanta, she currently resides in New York City. Visit http://www.AmandaADixon.com for more details.